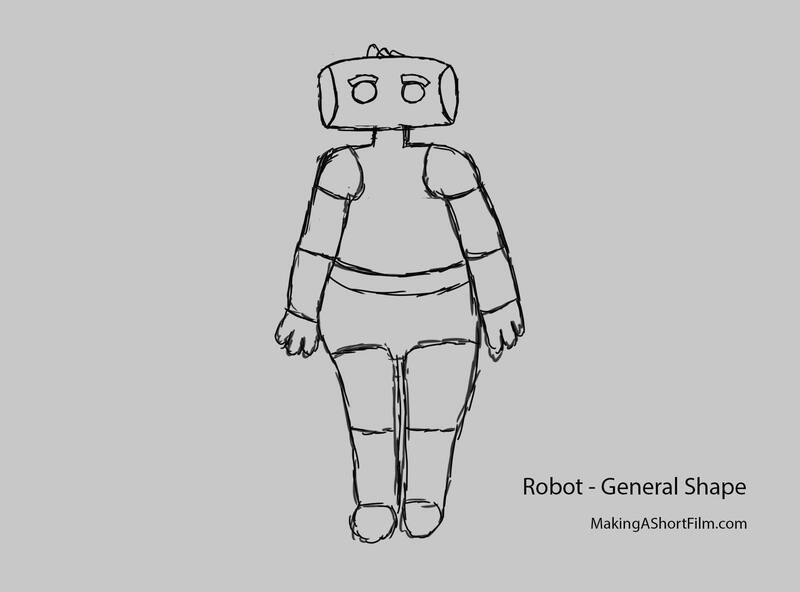 The final thing I want to do before I sit down and draw the full robot design is to have a clear view of the general shape I will be going for. In my head, I've had a pretty clear idea of what I wanted from the robot shape-wise since the beginning. This includes the key feature of it being tall and big, which gives a couple of effects I am looking for. First of all, it makes it more comical that he is insecure (with physical power, you "should not" be afraid). Secondly, it naturally looks more clumsy when you are larger (since you and your motions simply take up more space with the potential of knocking things over). And lastly, I like the idea of him being able to look big and menacing. This makes the doctor being so tough on him funnier, since she is not "picking on someone her own size". However, I don't want him to be muscular or look heroic, so his size should be more on the heavy side. Therefor I see a pear-shaped body, with a rather large belly that also keeps a utility belt with cleaning supplies from sliding off his body. More sumo wrestler than bodybuilder. As for the head, I was always pretty much set on a kind of box. To find the actual shape, I did several simple tests. You can see them in the collection image at the top. 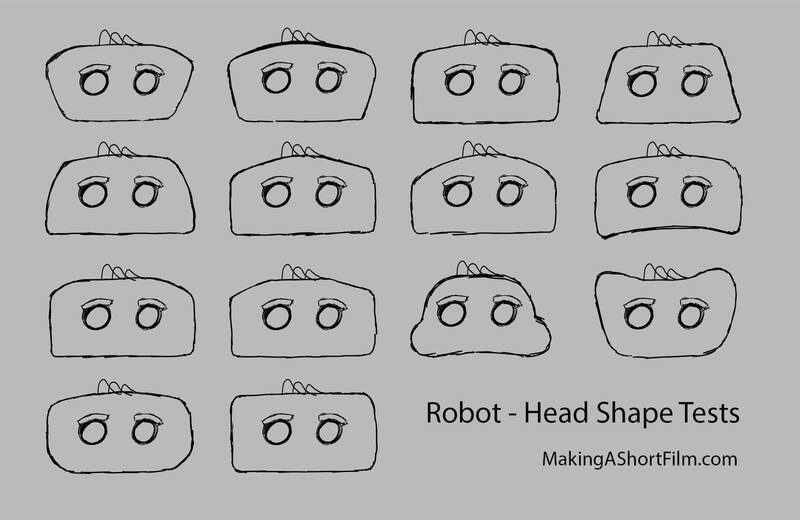 I settled for variation #3 (from the top right), with a small curve on the top of the head, but straight otherwise. Having loose wires act as hair is one of things I have known that I wanted since the beginning. Using this head as the base, I drew the shape of the rest of the body as I imagined it, just focusing on the basic body shape. And this is what I got. So, now I have all I need to create the final shape of the robot. I know roughly how I want it to look, and I know how it is supposed to work. Now it is time to combine the two into a final design.